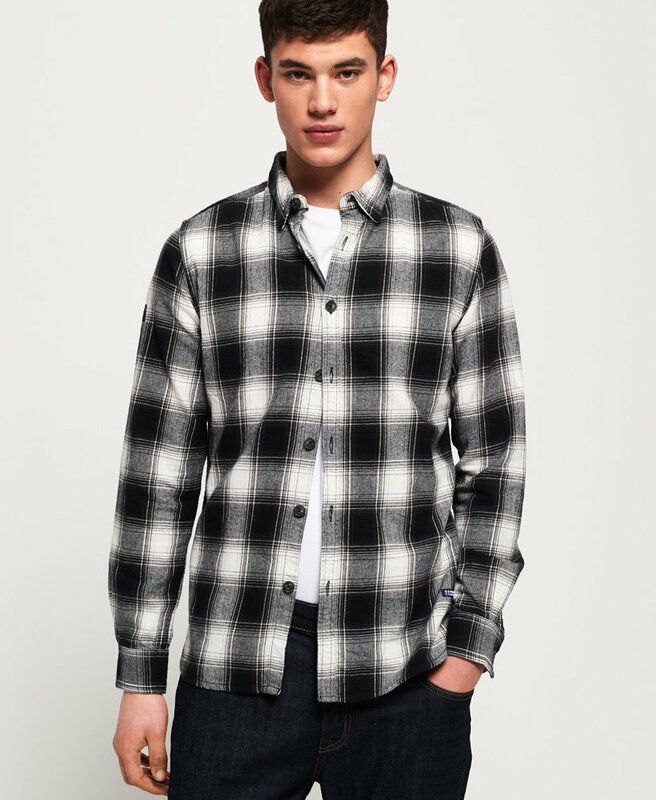 Superdry men's Engineered rookie shirt. This classic style shirt features a button down fastening, long sleeves and button fastened cuffs. Completed with a Superdry logo badge above the hem and on one shoulder. 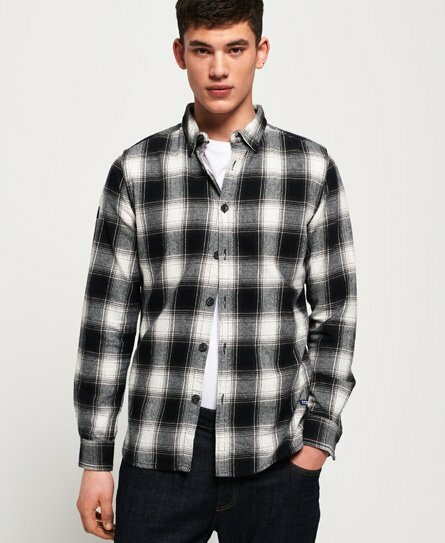 This shirt looks great layered over a plain t-shirt.